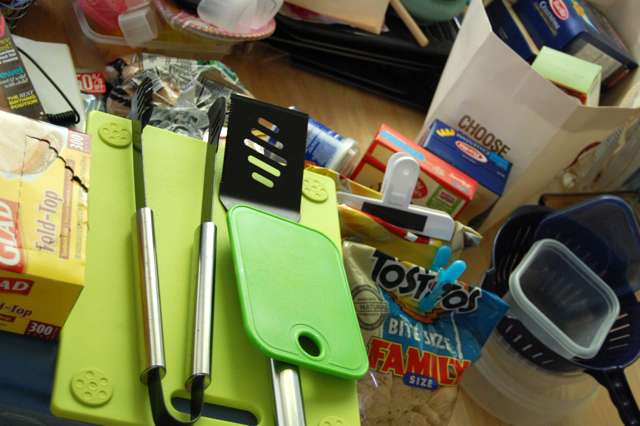 hey jen renee: goodbye, kitchen. Bo and I been talking about doing a kitchen remodel for quite awhile now. It's always been on our to-do list (especially the floors, which were in major need of an overhaul.) And this summer, it's go time. The cabinets have been ripped out and the floor has been tiled. 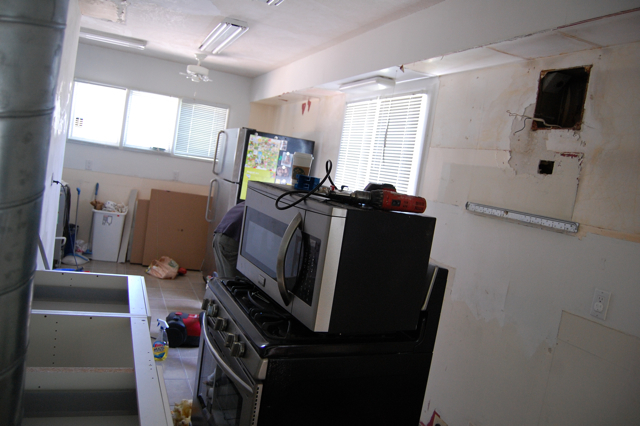 We have a long way to go, but I am so excited to watch this new kitchen materialize. 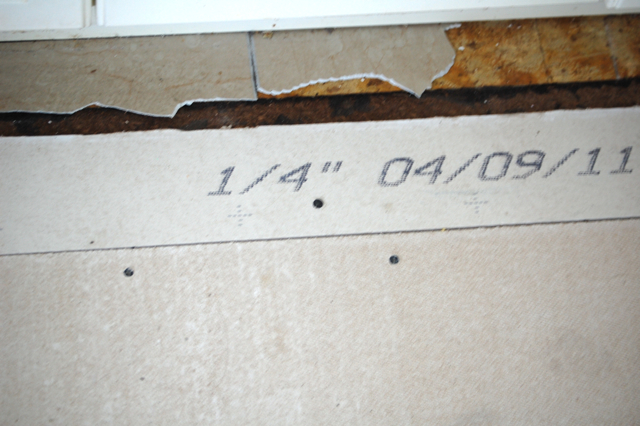 First came the new flooring. (And, well, ripping out the bottom cabinets. Ripping things out kind of scares me.) The new tile is a neutral gray and perfect for dancing on. For now, everything is laying in piles on our living room floor. So that's fun. Bo and his dad are doing the entire kitchen remodel themselves, so it has been in various states of de-construction as they move through each stage. They're both incredibly handy and I'm so lucky they know how to do all of this stuff. 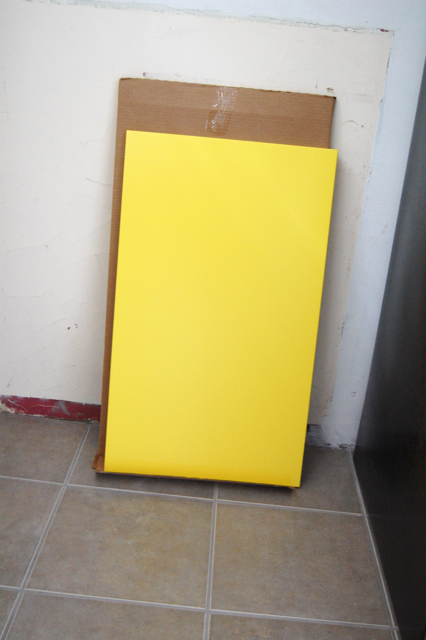 Yellow! What a fantastic idea! Can't wait to see it! OOooooo !!! How fun does this sound Jen !!! The yellow kitchen sounds freakin' awesome !! I too, cannot wait to see how it turns out. 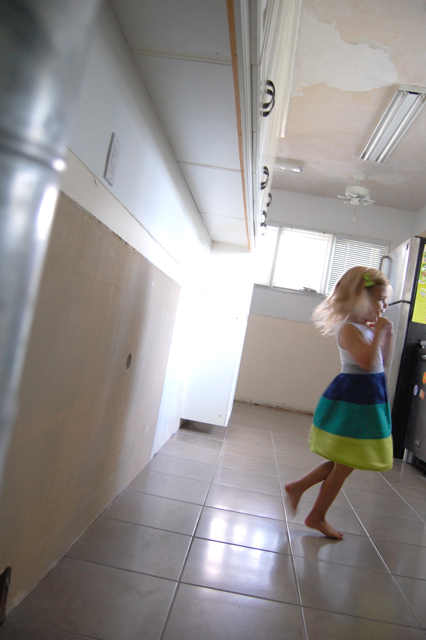 The new tiling looks great and so does your adorable little girl dancing on it :) (So sweet ! ) I cannot imagine being without a sink for a few days, but then again...you always have the bathroom one ;) ...so, nothing to worry about TOO much. You're going to get a grooooovey kitchen out of it !! Horrahhhh !!! p.s. update on how YOU are doing missy !!! Awesome! Can't wait to see the finished project! Congrats on your happy news too... just checked in after a long time away! can't wait to see the finished product! i've been wanting to remodel ours forever. 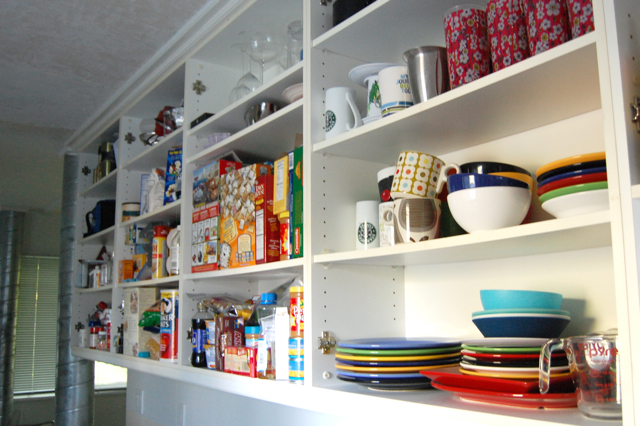 think we may just repaint the cabinet doors for now. Yellow kitchen? Can't wait to see!